Designed for outdoor or mobile settings, this hyper-flexible full-sized keyboard can be easily packed away, cleaned with soap and water, and accessible whenever you need it. The keyboard is made with antimicrobial material that protects against germ buildups between washings. 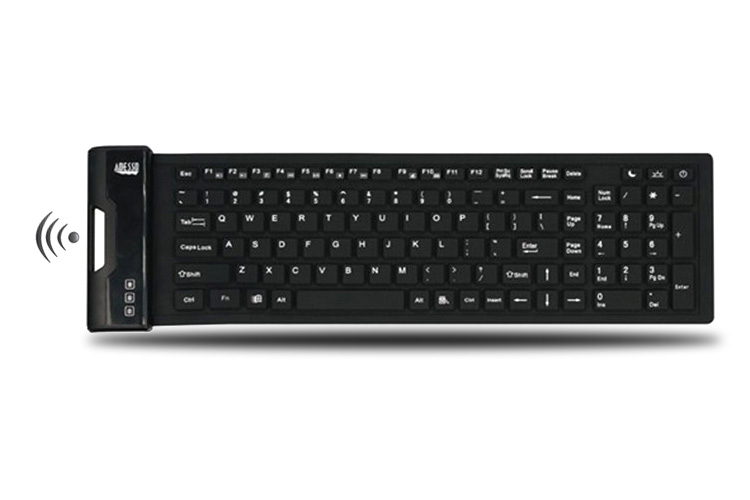 The keyboard has a USB interface that easily connects without having to install specific drivers. Aside from these practical features, the keyboard is made for smooth and quiet performance.